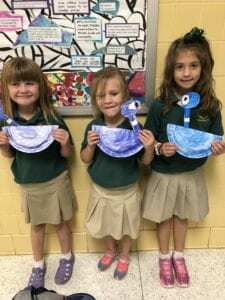 October 11th- Today we read a Mo Willems classic: Don’t Let the Pigeon Drive the Bus. This is a silly book about a pigeon who tries very hard to persuade the reader to allow him to drive the bus. 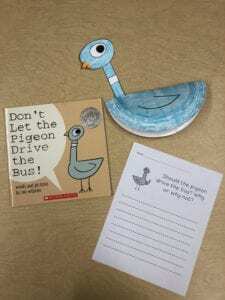 We made rockin’ paper plate pigeons and discussed why the pigeon should or should not be allowed to drive the bus. We had a blast!